01:25 I can even use other ES features, for example, ES6 exports. Similarly, I can use ES6 imports to use the log function from the utils module. Of course, this shows another great reason to use TypeScript for JS files, which is this excellent autocomplete. 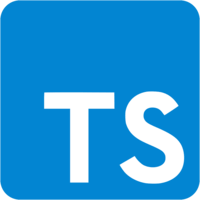 01:57 If I go ahead and change the file extension from JS to TS, it opens up advanced TypeScript analysis. Mixing JS and TS files this way allows you to incrementally upgrade your code base towards greater type safety provided by TS files.